Dale R. Walters, 81, of Fostoria, Ohio died Wednesday, August 29, 2018 at the Toledo Hospital. He was born July 30, 1937 in Tiffin, Ohio to Paul & Lucile (Manz) Walters. Surviving is wife Rosetta Walters of Fostoria, sons Richard (Deborah) Walters and Jeffery (Brenda) Walters both of Ft. Wayne, Indiana, Michael Che’ Walters of Bowling Green, sisters Imogene Alsobrook of TX, Mardene Gomez & Catherine Fassler both of Tiffin, grandchildren Caelis Hoyle, Christopher Walters, Jessica Brown, Jacob, Sydney & Shelby Walters, Murrel June Walters. Preceding him is parents, sister Betty Baird, brothers Robert, Edward & Ronald Walters. 34 years of service. 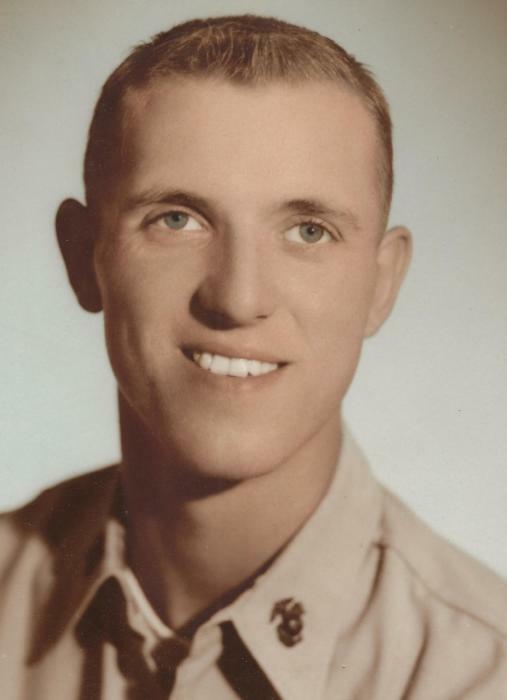 He was U.S. Marine Corps during the Korean War, a 1955 Graduate of Columbian High School. Dale was also a member of the Fostoria VFW & Life member of AmVets. Memorial visitation will be held Saturday, September 1, 2018 from 1-3 p.m. at the Harrold-Floriana Funeral Home, Fostoria, Ohio. Graveside committal services will be Saturday, September 22, 2018 at 2 p.m. at Fountain Cemetery in Fostoria, Ohio, with military honors performed by the United Veterans of Fostoria.